We’d love your help. Let us know what’s wrong with this preview of Messages from the Masters by Brian L. Weiss. As a traditional psychotherapist, Dr. Brian Weiss was astonished and skeptical when one of his patients began recalling past-life traumas that seemed to hold the key to her recurring nightmares and anxiety attacks. His skepticism was eroded, however, when The true story of a prominent psychiatrist, his young patient, and the past-life therapy that changed both their lives. To ask other readers questions about Messages from the Masters, please sign up. I've been reading and watching materials on Dolores Cannon [hypnotherapist and regressionist (past-lives regression), it’s been 40 years]. Doctor Weiss' results are quite similar to those of Dolores. Yet, she started earlier. 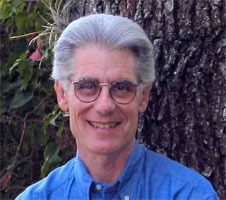 Doctor Brian Weiss is a psychiatrist. He got his major in Chemistry from Columbia University, and his specialty at the Yale Medical School. This book is about a trend he initiated some time ago: the use of regression techniques as psychotherapy. It started with the publication (in 1988) of Many Lives , Many Masters: The True Story of a Prominent Psychiatrist, His young Patient, and the Past Life Therapy that changed both their lives. In it, Weiss spoke of the Catherine case. That changed his way of intervention: Weiss so experienced in the pharmacological approach and being skeptical about non-scientific domains such as parapsychology and reincarnation…: “suddenly I got introduced in the right brain, the non-linear”…the harmony between science and intuition. Catherine under hypnosis had access to “superior sources of knowledge”. Weiss discusses about the clinical improvement mechanism of that case (symptoms disappeared after hypnosis sessions). (1) Recalling repressed, traumatic, or even forgotten memories may be associated with cure; it’s a kind of ab-reaction. “…we cannot limit to infancy archeology or the first infancy; it is required to dig patterns and memories of PAST LIVES, so that complete cure can occur”. (2) The observation of other bodies (though the same soul) in remote times may lead to the conclusion that :”our souls are eternal”: …“recalling that we are souls, we’re immortal…our goal is to recall”; of course, through hypnosis recalling becomes easier. The present book presents many cases of regression. Regarding more traditional approaches Doctor Weiss says :(1) about psychoanalysis, that in its essence is not spiritual; it’s a sterile discipline. He criticizes the “ego-repairing” techniques; the important thing is to go “beyond our egos”; happiness and peace are more important. (2) The Biological Psychotherapy doesn’t change the essential point. “Too many psychiatrists limit themselves to prescription and nothing else”. Consequently, the right approach should be spiritual, and the object: the soul….regression, as a means for cure. Quoting a Vietnamese Buddhist monk [Thich Nhat Hanh] Weiss says that life is like a tea cup: you need to be present, conscious and attentive to savor it, fully. The supreme healing force is love. The author suggests some meditation exercises at the end the book. Recommended , no matter how healed (or suffering) or spiritual (or atheist) …you are now;…or in the past, you were. 1-All major religions have a same underlying principle: love. 2-We change bodies, race, religion...throughout different reincarnations; we have to learn it from all sides. 3-Reincarnation: more than one chance...to get it right. I read this after reading Many Lives Many Masters. This book, IMHO, is as good as his first one. I've always been afraid of dieing, esp. a painful death or going to hell, but this book has helped me calm down a bit and realize that it won't be that bad. There's a lot of love and emotions after death and it's just comforting to know that I'll be seeing all the people who's left me and all the people I've left behind one day again. while you may or may not believe this guy, this book is a very interesting opinion of the afterlife/beforelife. he speaks of clients that he hypnotized to get in touch with their other lives. they see people in other lives that are in their current life. i would recommend it to someone who is open minded about religion & afterlife type stuff. Dos seis livros qua actualmente encontram-se publicados pela Pergaminho de Brian Weiss, este não é, de todo, o seu melhor trabalho, porque para quem já leu um ou dois títulos do autor 'A Divina Sabedoria dos Mestres' torna-se um pouco repetitivo. É sim, um livro propício para o leitor que pretenda ler um primeiro livro deste autor norte-americano, que tem um séquito fiel de admiradores por todo o mundo. Mas Brian Weiss também gera controvérsia; muitos são os críticos que lançam admoestações à veracidade do que ele escreve. Há tantas pessoas que mantêm as suas mentes fechadas. Not his best work. It was repetitive, and in some paragraphs quotes were used from other books not written by himself which should have been clarified. For anyone who has not read a lot of books on the metaphysical though, would enjoy it. There is no star rating that can really explain how amazing this book is. This man is a true guru, teacher for all of us. I treasure this, and all his books, very dearly. This book is a collector’s item to read again. In succession to the first book in series (Many lives, many masters) regarding patient past life regression analysis, in this 2nd book, Dr. Brain Weiss talks about the messages from the spiritual masters. Whether you believe in past life and reincarnation or not, these messages are described and explained so beautifully that you know and inherently realize that each message is anything but a profound universal truth. Sample this-‘The patience and ti This book is a collector’s item to read again. In succession to the first book in series (Many lives, many masters) regarding patient past life regression analysis, in this 2nd book, Dr. Brain Weiss talks about the messages from the spiritual masters. Whether you believe in past life and reincarnation or not, these messages are described and explained so beautifully that you know and inherently realize that each message is anything but a profound universal truth. Sample this-‘The patience and timing are to be understood. Everything comes when it must come. A life can not be rushed on schedule. We must accept what comes to us a given time and not ask for more. The life is endless. We never die as we were never really born. What we pass through are just different phases of learning. The time is not we see as a time but rather in lessons that are learnt or to be learnt’. A life enhancing and empowering book. Throws light on the intricate subjects like reincarnation, hypnosis, NDE, post death experience, regression activity. The book re-emphasizes the fact that a soul never dies, it just gets liberated from the body and transcends to the next body. Brian has also explained the steps to under go a state of hypnosis. There are many examples cited for the people who have experienced the regression process and have experienced a much better state of heart and mind. A A life enhancing and empowering book. Throws light on the intricate subjects like reincarnation, hypnosis, NDE, post death experience, regression activity. The book re-emphasizes the fact that a soul never dies, it just gets liberated from the body and transcends to the next body. Brian has also explained the steps to under go a state of hypnosis. There are many examples cited for the people who have experienced the regression process and have experienced a much better state of heart and mind. According to Brian, every soul melts down to light. The light is the most powerful and largest object. This light could be translucent, golden or convergence of several different colored lights. This light is entwined. He also emphasis on the importance of Love ad relationships in our life. Relationships are never incidental, not even the family we are born in. We are always related to our family members since our previous births, though me might happen to share a different relation with us in this birth. But, we always stay connected and chose our family. Love is an absolute energy whereas anger is transient. Understanding can immediately heal deepest pains. A friend recommended that I read this book after she had read it during a difficult time in her life. The book talks about the idea of reincarnation and past lives. She said after reading the book that she was sure we had known each other in a past life and I had been her mother, sister, or aunt. I thought that was such a sweet compliment that I had to give this book a shot. I consider myself to a be a pretty open-minded person but when this book started to give examples of people who had been A friend recommended that I read this book after she had read it during a difficult time in her life. The book talks about the idea of reincarnation and past lives. She said after reading the book that she was sure we had known each other in a past life and I had been her mother, sister, or aunt. I thought that was such a sweet compliment that I had to give this book a shot. excellent book.. although i do not claim to be part of any religious sect I do believe that many of the stories felt true to what I believe. I learned that maybe it is not the religion you are part of, but rather the quality of life and lessons you have learned within your life which directs you down different paths and towards various sets/ if not the same people through your reincarnation. I really loved this book. My father passed this year and I found comfort in knowing that I will most likel excellent book.. although i do not claim to be part of any religious sect I do believe that many of the stories felt true to what I believe. after having read the previous two books by Dr. Brian Weiss i've slowed down with one, but it is still wonderful and does go further into the meat of the true purpose of his experiences as a Psychiatrist working with past life regression... the messeges from in the in between lives states. It's so very affirming. This book is a courageous and beautiful reminder that faith in the eternity of spirit, a spiritual practice of meditation and trusting intuition heals and enhances one’s life. I am well. All is well. This is probably the best series of books I have ever read on the subject of spirituality. It provides the deepest spiritual insights into the existence of life on Earth. Interesting and thought provoking. If you are ardently Christian it may bump against some of your beliefs. He perfectly walks the line between 'crazy' and 'eye-opening'. There are different levels of learning, and we must learn some of them in the flesh. We must feel the pain. When you're a spirit you feel no pain. It is a period of renewal. Your soul is being renewed. When you're in physical state in the flesh, you can feel pain; you can hurt. In spiritual form you do not feel. There is only happiness, a sense of well-being. But it's a renewal period for... us. The interaction between people in the spiritual form is different. When you are in physical state... you can experience relationships. When you look into the eyes of another, any other, and you see your own soul looking back at you, then you will know you have reached another level of consciousness. Brian's first book that I read "Many Lives, Many Masters" was incredible and I highly recommend it. "Many Lives, Many Masters" was a great extension of this book. Many of the same principles were repeated in this book, but he goes into a lot more detail through his continued experience. This is one of those books I had a hard time putting down because I was so eager to learn and read more. Wonderful book for anyone looking to advance in the spiritual journey. Estuvo increíble! Ahora quiero continuar leyendo los otros libros de Brian Weiss ya que fue mi primero. Dijo muchas cosas muy ciertas y se me hace fascinante las experiencias de sus pacientes o de la gente con la que se ha topado. Es importante leer este tipo de libros porque te dan una perspectiva diferente y espiritual de la vida, más amplia de lo que es la realidad. Mind expanding information. Would highly recommend this to anyone seeking Spiritual knowledge and Truth. Need more like this one and plan to keep seeking and growing and reading his works. Ive read lots of books on this theme,but this is one of the best. I will read it again and again! Ive read lots of books on this theme,but this is one of the best. Even if you don’t believe in past lives and reincarnation, it’s a great book to read to view life in a different way and how to cope easily with hardships. His easy to read book has life changing possibilities, especially for people who are beginning to explore consciousness. I really enjoyed it. Another gem from the wonderful, Dr Brian Weiss. Stories to help you open your mind up to new experiences. In Carole’s family there is a saying that has come down through the years that the greatest sin is to take away someone's neshumah. Translated from the Yiddish, the expression means that it is a sin to take away another's joy, or, more colloquially, to rain on someone's parade. How frequently people do that to each other and how destructive it is! We’ve all had that happen, and we've all had the sinking feeling that goes with it. Children who are proud of a drawing or singing a song or some other small accomplishment are met with laughter instead of a pat on the back. Later in life, we sometimes find our moments of happiness ruined my someone’s criticism. Even though we know that the other person’s actions and words were due to jealousy or feelings of inferiority or any number of reasons, we still have that unhappy feeling that we had as a child. It is interesting to note that the word neshuma actually means "soul." The greatest sin is to take away someone's soul. 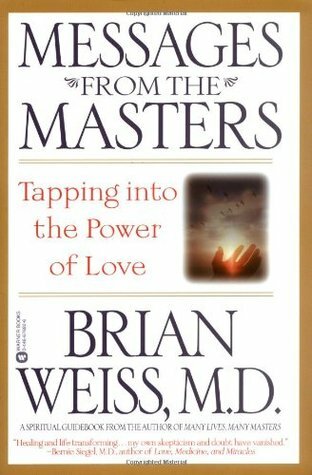 This book sums up the revelations and spiritual evolutions that Brian Weiss experienced after the events of his first book "many lives/many masters". In MLMM, Brian Weiss was very doubtful about his own findings and his scientific academic mind was reluctant to admit the possibily of reincarnation and past lifes experiences. In Messages from the Master, 12 years later, Brian Weiss has totally surrendered to the accumulated evidence and now strongly believes we all live indefinitely though different levels of existence. He had no further doubts and though this book he wants to spread the messages he received from spiritual masters who guide humans between the different planes of their existence. Whether one believes or not in his findings, this is a truly astonishing book by any means, with many description of events that are inexplicable other than by admitting the existence of spiritual connections between our past and present loved ones. The book also remarkably proves how all religions are founded on the same bases and relied on transmitting the same messages of pure and unconditional love. As a traditional psychotherapist, Dr. Brian Weiss was astonished and skeptical when one of his patients began recalling past-life traumas that seemed to hold the key to her recurring nightmares and anxiety attacks. His skepticism was eroded, however, when she began to channel messages from "the space between lives," which contained remarkable revelations about Dr. Weiss's family and his dead son. As a traditional psychotherapist, Dr. Brian Weiss was astonished and skeptical when one of his patients began recalling past-life traumas that seemed to hold the key to her recurring nightmares and anxiety attacks. His skepticism was eroded, however, when she began to channel messages from "the space between lives," which contained remarkable revelations about Dr. Weiss's family and his dead son. Using past-life therapy, he was able to cure the patient and embark on a new, more meaningful phase of his own career. Dr. Weiss maintains a private practice in Miami. In addition, Dr. Weiss conducts national and international seminars and experiential workshops as well as training programs for professionals.